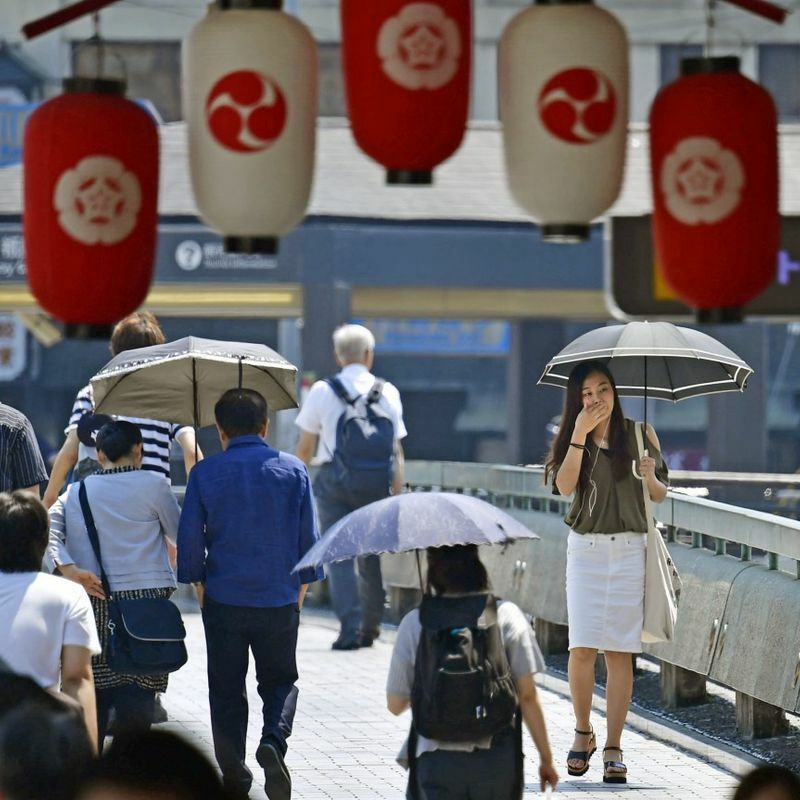 TOKYO - Seven more people died Thursday as a heat wave continued to grip Japan, bringing the total fatalities to more than 30 since July 9, with the public warned to brace for more scorching weather the following days. The extreme heat -- which rose to as high as 40.7 C in central Japan on Wednesday -- has seen more than 10,000 sent to hospitals, according to a Kyodo News tally. The seven fatalities were from six prefectures. In Tokyo alone, rescuers responded to more than 3,000 emergency calls on Wednesday, a record for a day, preliminary data from the Tokyo Fire Department showed Thursday. A total of 317 people, aged between 1 and 105, were taken to hospitals in the capital on Wednesday. The number of emergency calls broke the previous record of 2,900 set the previous day. 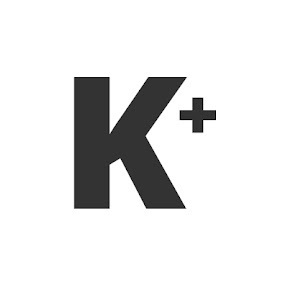 Many students in various areas were also rushed to hospitals during school activities, but none sustained serious or life-threatening injuries. In Shimonoseki, Yamaguchi Prefecture, multiple high school students complained of symptoms of heatstroke or heat exhaustion, and eight of them were sent to hospitals. The eight were taking part in sports events in school grounds and gymnasium as the mercury climbed to 34.5 C in the city. The measure comes following the death Tuesday of a 6-year-old boy after attending an outdoor class at his elementary school in Aichi Prefecture, central Japan. The intense heat has also made it more difficult for disaster victims and rescuers to cope with the aftermath of the torrential rain that has hit western Japan. 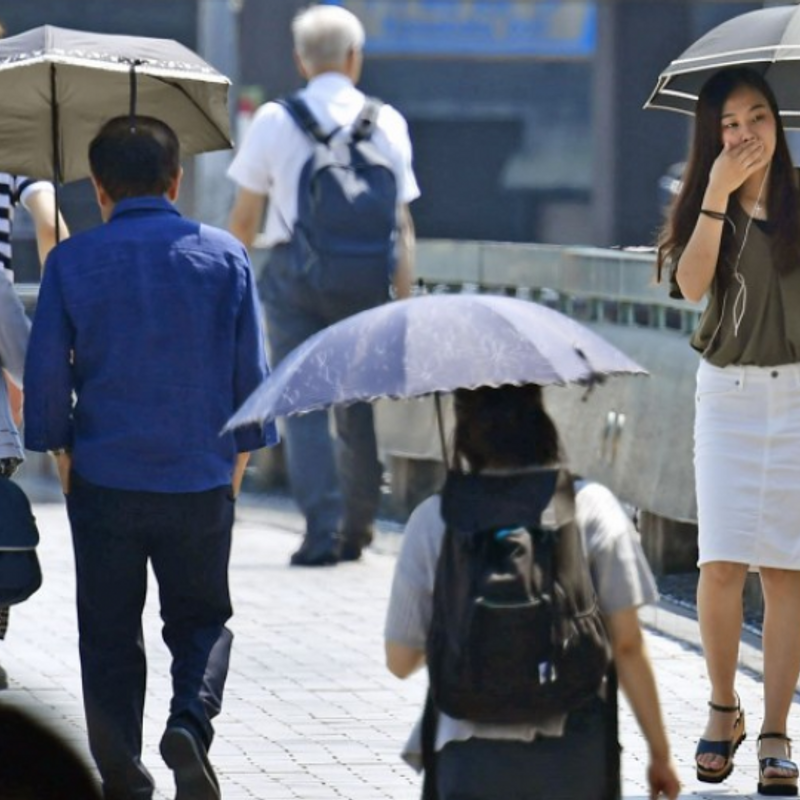 The Japan Meteorological Agency has warned of extremely high temperatures and called on people to take precautions such as drinking water and controlling room temperatures.